So I woke up and my boyfriend and I found these eggs. We live in the Hollywood hills so I'm not sure what this may be or how to get rid of them. 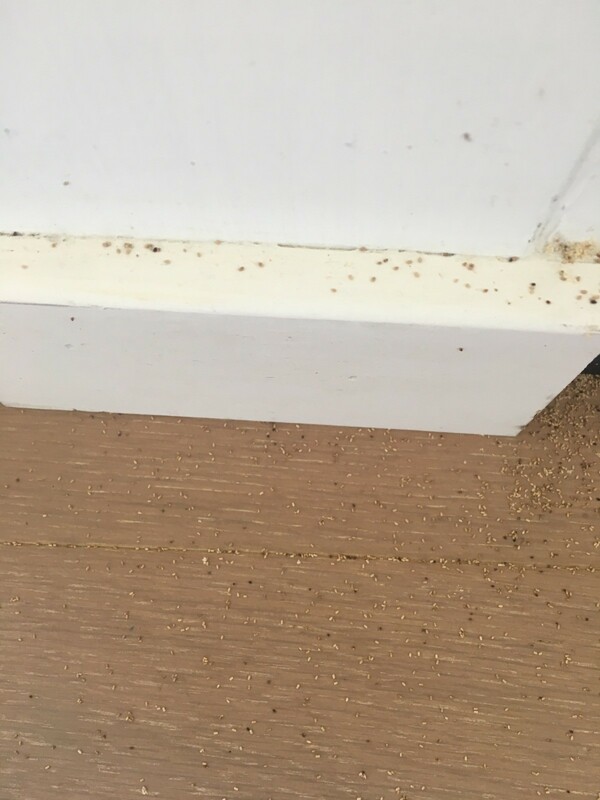 The house was built from a Reno old house, but his place is Neely built and was designed by him so we didn't think it could be termites or bed bugs. I tried to blow up the photos the best I can and to me it looks like maggots and mouse poop. Are the white things wriggling? You could always sweep some into a glass jar, seal it good and take it to a garden shop or hardware store. Then do a hot and heavy cleaning of the rest. Post back what you learn. 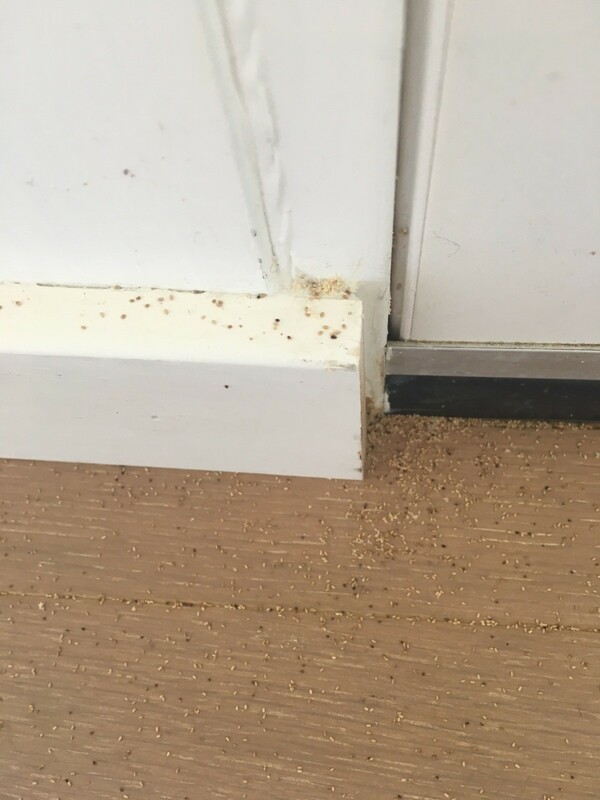 Whatever it is, it is a large infestation. Put some in a sealed plastic bag. Take the bag to a place that sells pesticides. They will identify it and sell you the correct pesticides. 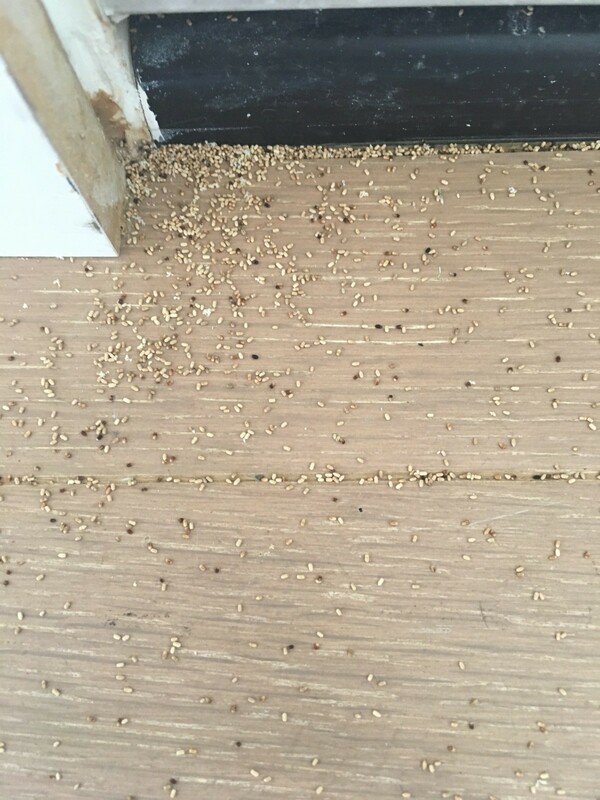 If it is maggots as Pghgirl suggested it could be from something dead in the attic(?) or near an opening in the wall. If attic you can check above where they are and see if there is anyplace they could be coming from. If you can gather up some of all sizes of bugs and place them in a container or a baggie you may be able to get some answers if you have an Ace or True Value Hardware store near by as they usually have good technicians as well as all kinds of bug killers. It would not hurt to have some very close up pictures (cell phone?) to take with you. If they are eggs that are hatching then you probably should try to do this as quickly as possible so you can eliminate the source. I would get gloves and place one of these in a plastic bag. I would then photograph it, up close, and put it into one of the insect identification groups on Facebook. They are usually very great at identifying eggs and all kinds of insects.